We are committed to helping students gain the healthcare education they need to build successful nursing, radiography, and HIM careers. It’s a commitment that started over 100 years ago. Paying for higher education is a challenge. Resurrection University is committed to helping you through the process. We offer the assistance you need to manage the many financial aid options that are available to Resurrection University students. For more than a century, the people of Resurrection University have been making a difference. It’s not just what we do, it’s who we are. We encourage our alumni and friends to play an active role in the University. Resurrection University is proud to offer numerous scholarship opportunities that are funded by private gifts from individuals, groups and institutions. These scholarships are considered gift aids – they do not have to be repaid if the required eligibility is met. 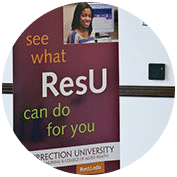 The ResU Scholarship application is usually available in May for Fall Semesters and October for Spring Semesters. Students are notified via their school email when the University’s scholarship applications are available. 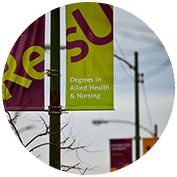 Scholarship recipients are selected by the ResU Scholarship Committee and notified in August for Fall recipients and in December for Spring recipients. One $5,000 scholarship is awarded to a BSN student. The scholarship is based on an undergraduate student’s superior academic achievement, clinical qualities, professionalism and leadership. A faculty letter of endorsement, an interview with the College Scholarship Committee and an essay are required for eligibility. One (1) $2,000 scholarship will be awarded to an undergraduate radiography student who demonstrates a financial need and shares a vision of where he/she would like to be in the future as a healthcare professional. One scholarship of $3,000.00 is being awarded to continuing undergraduate and graduate students. This scholarship is based on merit financial need; this student must demonstrate concern for justice and service on behalf of the poor, sick, or uneducated. One scholarship of $3,000.00 is being awarded to continuing undergraduate and graduate students. This scholarship is based on merit financial need; this student must demonstrate faith, self-giving, and family love to those in need. One scholarship of $3,000.00 is being awarded to continuing undergraduate and graduate students. This scholarship is based on merit financial need; student must demonstrate a particular care and compassion for children. One scholarship of $3,000.00 is being awarded to continuing undergraduate and graduate students. These scholarships are based on merit financial need; students must demonstrate a love for the poor and act as a source of justice and charity in their neighborhood. One scholarship of $3,000.00 is being awarded to continuing undergraduate and graduate students. This scholarship is based on merit financial need; students must demonstrate a willingness to promote caring relationships with their classmates and within the families of their patients. Six* scholarships of $500.00 are being awarded to undergraduate students. This scholarship is based on financial need, academic good standing, and students’ outward display of University Core Values (C.A.R.E.S = Compassion, Accountability, Respect, Excellence, Service) through their work, in their school or in the community. Ten scholarships of $5,000 are awarded. The scholarship is available to BSN nursing students. This scholarship is based on merit and financial need. The student must have a cumulative GPA of 2.50 or higher. The scholarship can be used to offset the student’s educational related expenses. Four scholarships of $5,000 annually are awarded. 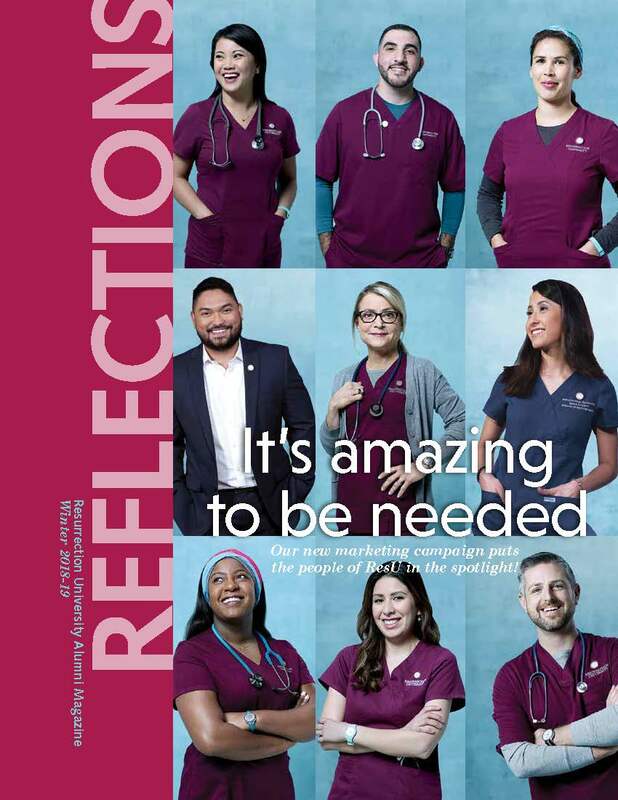 This scholarship is available to MSN students enrolled in the MSN Nurse Educator program. This scholarship is renewable, not to exceed $15000.00 (three academic years) lifetime maximum. Eight scholarships of $5,000 annually are awarded. 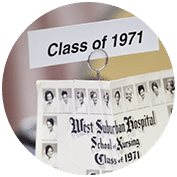 This scholarship is available to BSN students residing in Proviso Township and demonstrating financial need. Proviso Township includes the following fourteen villages: Bellwood, Broadview, Berkeley, Brookfield, Forest Park, Hillside, LaGrange Park, Maywood, Melrose Park, Northlake, North Riverside, Stone Park, Western Springs, and Westchester. Also a valid FAFSA must be processed by deadline date of scholarship. Resurrection University school code is 022141. This scholarship is renewable, not to exceed $10000.00 (two academic years) lifetime maximum. One scholarship of $500 is awarded to a BSN student. This scholarship is based on merit and financial need. One scholarship of $1,000 is awarded to a BSN student. The recipient is selected based on their cumulative GPA. One scholarship of $1,500 is awarded to a BSN student. The scholarship is available to undergraduate nursing students. This scholarship is based on financial need and academic performance. One scholarship of $1,000 is awarded to a senior BSN student. This scholarship is based on financial need and involvement in co-curricular activities. One $3,000 scholarship is awarded to a BSN student. The scholarship is based on an undergraduate student’s superior academic achievement, clinical qualities, professionalism and leadership. One $3,000 scholarship is awarded to a BSN student. The scholarship is based on an undergraduate student’s superior academic achievement and leadership skills. One $3,000 scholarship is awarded to a BSN student. The scholarship is based on an undergraduate student’s superior academic achievement and focus on clinical practice. Resurrection University is pleased to announce the President’s Community Scholarship for local area residents who attended one of the City Colleges of Chicago, and who is interested in pursuing an undergraduate degree from Resurrection University. There are two (2) scholarships available. The amount of the scholarship varies. One scholarship of $500 is awarded to a BSN student. The scholarship is available to undergraduate and graduate nursing students. This scholarship is based on merit and financial need. 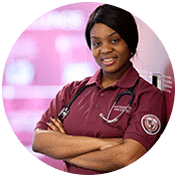 This scholarship is for students in the BSN Pre-Licensure or HIM programs and who already have a bachelor’s degree in another area of study. This scholarship is based on financial need. The number of scholarships varies. The maximum scholarship amount is $5,000 for full-time enrollment and $3,000 for part-time enrollment. One scholarship of $500 is awarded to a BSN student. This scholarship is based on financial need and involvement in co-curricular activities. One scholarship of (variable amount) is awarded to undergraduate and graduate nursing students. This scholarship is based on being an active member of the National Association of Hispanic Nurses (NAHN) Illinois Chapter. This scholarship is renewable annually, contingent upon the student maintaining satisfactory academic progress. 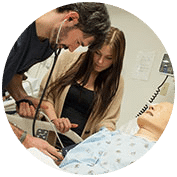 Awards: Undergraduate Pre-Licensure is $3,000/semester for the life of the program, as long as criteria is met; Undergraduate Post-Licensure (BSN for RN) is $2,000/semester for the life of the program, as long as criteria is met; Graduate is $2,000/semester for the life of the program, as long as criteria is met.